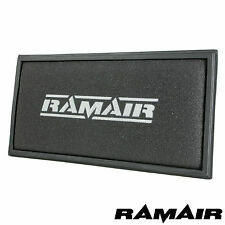 Who is Ramair Filters?. Filter Depth:N/A. Stainless steel cage support structure. Filter Type:Flat. Filter Quantity:1. Filter Shape:Rectangle. High Performance, MAF Safe, twin layer, fully reticulated foam. Who is Ramair Filters?. High Performance, MAF Safe, twin layer, fully reticulated foam. OEM Part Numbers:Audi 1K0129620 Audi 1K0129620D Audi 5C0129620 Seat 10129620D Seat 1K0129620D Skoda 1K0129607D Volkswagen 1K01269620D Volkswagen 1K0129607AG Volkswagen 1K0129607AS Volkswagen 1K0129620D Volkswagen 1K0129620D Volkswagen 1K0129620E Volkswagen 1K0129620L Volkswagen 1K0129620ZC Volkswagen 1K129620D Volkswagen 1KD129620A. VW Golf MK4 IV 1.9 SDi TDi 1896cc 1997-2006 (ASZ, ARL, AGP, AQM, AGR, AHF, ALH, ASV, ATD, AXR, AUY engine codes). Width (mm) 185. Length (mm) 367. Height (mm) 49. Technical Info. LAUTRETTE ELP3713 MAGNETI-MA 152071758394 MAHLE LX684. VW Passat MK6 1.9 TDi 1896cc 2005-10 (BKC, BLS, BXE ENGINE CODES). This is Service kit consisting of A Genuine Borg & Beck Air Filter to fit the following VW Diesel Model's;. 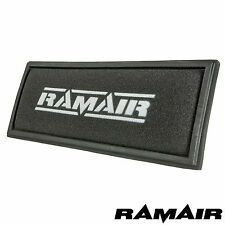 Who is Ramair Filters?. Filter Depth:N/A. Filter Type:Flat. Filter Quantity:1. Filter Shape:Rectangle. High Performance, MAF Safe, twin layer, fully reticulated foam. 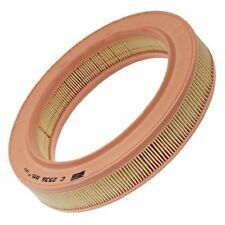 Filter Length:292mm. Filter Width:177mm. Mk5 Golf [BXJ, BLS Engines]. Audi A3 Sportback [BMN, BLS Engines]. SET of Three FEBI Air Filter and Engine Cover Rubber Ball Sockets for Many VW, Audi, SEAT & Skoda Models including. or the VIN (chassis) number and we will confirm suitability. 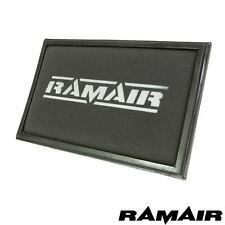 Who is Ramair Filters?. 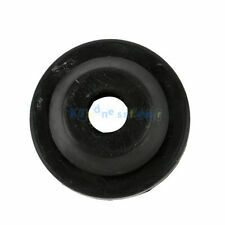 OEM Part Numbers:Volkswagen 5Z0129620 Seat 6Q0129620 Seat 6Q6129620 Skoda 6Y0129620. Filter Depth:N/A. Stainless steel cage support structure. Filter Type:Flat. Filter Quantity:1. If this bearing is compatible. We specialize in brake pads, brake discs, wheel bearings, clutch parts, sensors etc. and chooseExt 1. Issues With Your Order?. (ITEM NUMBER C814). VW T25 TRANSPORTER, CAMPER OR VAN 1.9 & 2.1. FROM 1986 TO 1991. 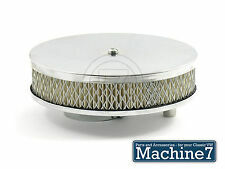 A NEW AIR FILTER SUITABLE FOR (THIS IS THE ROUND TYPE AIR FILTER IF YOU NEED THE SQUARE TYPE LOOK AT ITEM NUMBER C815). Simply remove the large ugly standard unit and replace with this compact filter in a matter of minutes. Machine7 specialise in Parts, Spares and Accessories for all Classic VW Air-Cooled models. Whether it's a Type-1, Type-2, Type-3 variant or Type-25. Quality Comline Oil Filter EAF548. A large selection of bearings, bolts and nuts, drive belts, ironmongery, batteries, seals, gulf and castrol oils and lubricants. VW Transporter/Caravelle 1.9 TDi 1896c c 2003-2009 (AXB, AXC, BRR, BRS engine codes). Bosch are an O.E. supplier to most car manufacturers. FOR YEARS: 2006, 2007, 2008, 2009, 2010 (2007). MON - FRI 9AM-6PM. OUR REF: 1451-03041915552204. Quality Comline Oil Filter EAF501. A large selection of bearings, bolts and nuts, drive belts, ironmongery, batteries, seals, gulf and castrol oils and lubricants. VW Mk5 Mk6 Golf TSI TDI GTI Tiguan & Audi A3 Q3. SHARAN (7N1, 7N2)05.10 -. A3 MK 2 HATCH 3-Door (8P1)Q3 (8UB, 8UG) 06.11 -. A3 MK 2 HATCH 5-Door (8PA)09.04 - 03.13. A3 CONVERTIBLE04.08 - 05.13. GOLF MK 5 HATCH (1K1)10.03 - 02.09. 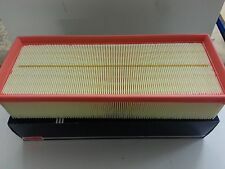 VW T5 T6 1.9 2.0 2.5 TDI Transporter 2003-2013 German Air Filter. VW Transporter T5 / T6 2003-2013 : 1.9 2.0 2.5 TDI All Models. VW Transporter T5 04/03 - 11/09. .
MPN - EAF851. AUDI A3 2.0 | SEAT LEON 2.0 | VW GOLF V 2.0 VI 2.0 SCIROCCO 2.0. AIR FILTER. The information provided in the compatibility should be used as a guide only. IMPORTANT NOTE. Width (mm): 174. The Comline range of over 250 oil filters includes both traditional 'spin on' and Eco options, all of which are precisely manufactured to Comline specifications using the very latest ISO procedures. COMLINE FILTERS. Quality Comline Oil Filter EAF818. A large selection of bearings, bolts and nuts, drive belts, ironmongery, batteries, seals, gulf and castrol oils and lubricants. "This K&N style conical air filter is suitable for both standard carburettors on 1200cc to 1600cc aircooled engines, and also for Weber 34ICT / Empi EPC carburettors. Simply pushes onto the carburettor, and is held in place with the supplied jubilee clip. Quality Comline Oil Filter EAF406. A large selection of bearings, bolts and nuts, drive belts, ironmongery, batteries, seals, gulf and castrol oils and lubricants. • VOLKSWAGEN CC, 1.4L L4 F/I, To 4/15 (2015). • VOLKSWAGEN Jetta, 2.0L L4 F/I, All (2008 - 2017). • VOLKSWAGEN Caddy, 2.0L L4 F/I, All (2010). • VOLKSWAGEN Caddy, 1.8L L4 F/I, All (2010). • VOLKSWAGEN Caddy IV, 2.0L L4 DSL, All (2011 - 2017). SHIELDED CONE BLACK CARBON UNIVERSAL AIR FILTER. Each filter is washable and re-usable. Complete with 3 adapters. Adapter Size maximum and minimum fitting (aprox). Without adapter - 76mm to 80mm. Quality construction. 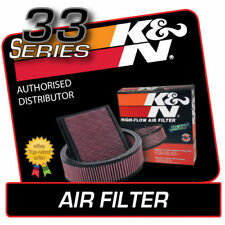 Free new Borg & Beck BFA2093 Air Filter for VW or Audi. Free collection from Skipton or Grassington. 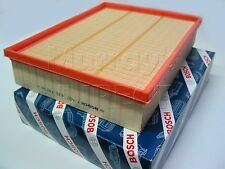 BOSCHOEM Air Filter for VW Mk6 Mk7 Golf 1.2TSI 1.6 [BSE,BSF,CCSA,CMXA Engine Codes and Others]. Equivalent to VW part numbers: 3C0 129 620 and 1F0 129 620. VOLKSWAGEN Passat B6 B7. VOLKSWAGEN Caddy Mk 3 (2K). VOLKSWAGEN Beetle (A5). 1.4TSI (not for CAXA engine code). 2.0TSI (not for 2.0 FSI or TFSI). 2.0TSI (not for TFSI). Available at checkout for £3.99. 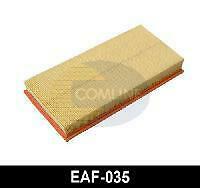 Quality Comline Oil Filter EAF035. A large selection of bearings, bolts and nuts, drive belts, ironmongery, batteries, seals, gulf and castrol oils and lubricants. Mahle are an O.E. supplier to most car manufacturers. VW Transporter/Caravelle T5 2.5 TDi 2461c c 2003-2009 (AXD, AXE, BNZ, BPC AXD, BNZ engine codes). FREE Next Working Day UK Delivery Included!